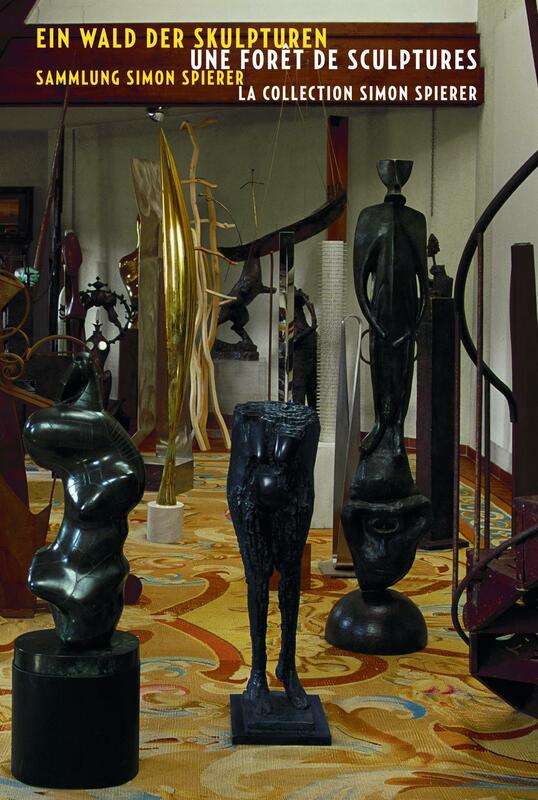 In 2004 the Geneva art collector Simon Spierer donated his internationally unique collection of 40 sculptures to the Hessisches Landesmuseum Darmstadt. With this generous donation, the HLMD has become one of the world’s major centres for sculpture of the 20th century. Spierer brought together works dating from the beginning of modernism to the early 21st century. His “Forest of Sculpture” encompasses pieces by extraordinary international 20th-century artists, for example Max Ernst, Henry Moore, Lucio Fontana, Louise Bourgeois, Barbara Hepworth, Germaine Richter, Max Bill, Isamu Noguchi, Daniel Spoerri und Tony Cragg. They include such iconic art historical works as Constantin Brancusi’s “Bird in Space” (1927), Julio González’s “Daphné” (1937), Hans (Jean) Arp’s “Idol” (1950) and Alberto Giacometti’s “Small Bust on a Column” (1952). The installation of the sculptures in accordance with the collector’s wishes conveys the impression of a natural environment and is intended to appear like a forest. In terms of form and motif, the collection focuses on the stele and the torso. This concentration lends it its unique and art historical valuable position. In its self-contained form and arrangement as determined by the donor, the collection ideally supplements the museum’s holdings encompassing such modern masters as Auguste Rodin, Aristide Maillol, Wilhelm Lehmbruck, Alexander Archipenko, Jacques Lipchitz, Hans Arp, Henri Laurens and Marcel Duchamp. It further features works by major 20th-century sculptors, especially Joseph Beuys; his internationally largest complex of works, the “Block Beuys”, is on show in seven galleries at the HLMD. The permanent installation of the Simon Spierer Collection is located on the second floor of the museum in three galleries opposite the “Block Beuys”. As such, the presentation not only brings important individual works together in a dialogue but also enables a wide-ranging discourse on the meaning and concept of sculpture in the 20th century in a manner that hardly any other museum can offer.